However, the public is audibly divided. While the majority of Americans do accept climate change—according to the American Psychological Association (APA), 71 percent of Americans think that global warming is happening—many people still retain beliefs that divert from the scientific consensus. The array of topics that climate change deniers focus on can vary, with some rejecting the idea that greenhouse gases warm the atmosphere outright, and others accepting this bit of scientific data but believing that other factors are at play or the recent warming of the earth’s climate is part of natural processes. One belief that is occasionally cited is volcanism. This point is interesting, as volcanic activity does release greenhouse gases into the atmosphere, and it has contributed to substantial climate change throughout the earth’s natural history. For example, the Siberian Traps were responsible for the Permian Extinction 251.9 million years ago, in which climate change factored in the extinction of 96 percent of all marine life and 70 percent of all terrestrial life. This was long before humans walked the earth, but it still beckons the question: has volcanic activity over the past century emitted enough greenhouse gases to drastically alter the climate? The data associated with this question is very easy to comprehend. According to the U.S. Geological Survey (USGS), global volcanic emissions account for 0.26 billion metric tons of carbon dioxide per year (Gt/y). This is the highest preferred estimate. Anthropogenic CO2 deriving from fuel combustion, on the other hand, accounts for 32.3 Gt/y. This means that human activities release 124 times more carbon dioxide into the atmosphere than volcanoes do each year. Furthermore, this data indicates that, over the past century, as atmospheric carbon dioxide concentrations have elevated from 295.3 ppm (parts per million) to 409.32 ppm, anthropogenic emissions have been the main cause. 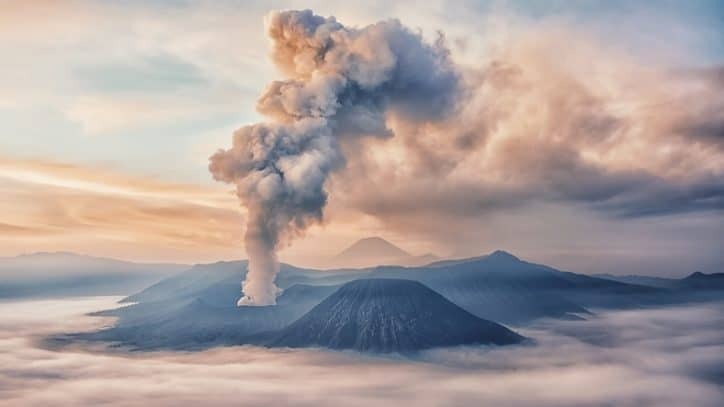 Interestingly, volcanic eruptions can also be responsible for the haze effect, which actually cool global temperatures. Often, eruptions emit sulfur dioxide into the atmosphere. This enters the stratosphere and combines with water to form sulfuric acid aerosols, which reflect the sun’s radiation and cool the earth’s surface. 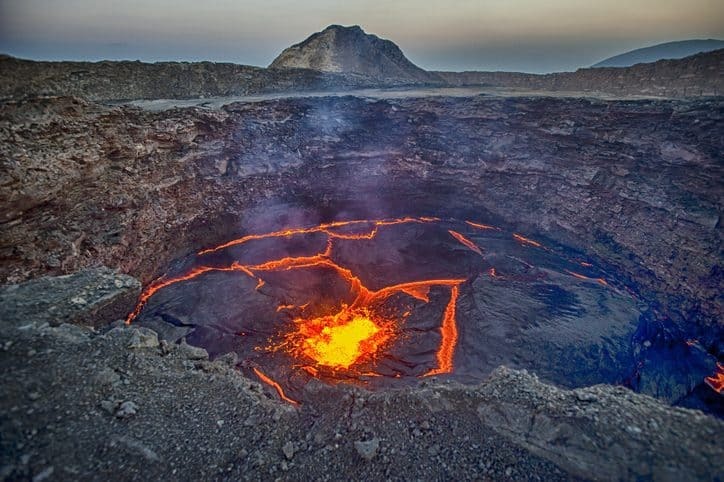 According to a popular scientific theory, approximately 70,000-75,000 years ago, after the Toba caldera experienced a mega-colossal eruption, average global temperatures lowered by 3-3.5 degrees Celsius for several years, creating a population bottleneck and differentiating isolated populations. Acknowledging the scientific consensus that the climate is changing due to greenhouse gas emissions brought about by human activity is the foundation of all environmental management efforts in international standardization. When one understands how anthropogenic activity is altering the earth, it places a much greater significance on the management of greenhouse gas emissions.